Read the full entry on Jordan's CaringBridge Journal. I'm sure you'll be struck and I am by the fighting spirit of Jordan and his family and by the elements of eternal wisdom Jordan has earned through his multiple bouts with cancer. It's been too long since I've shared a heart-thumping video. Here's a good one, produced as part of the 20th anniversary of TNT. Enjoy! If you did not get the email and would like to be added to my list, add a comment to this post, send me an email, or use the sign-up form to the right. P.S. Making a charitable donation was among the top 5 tips for reducing your 2007 tax burden according to the NBC Today show this morning, December 11, 2008. I am running in the RUN FOR AUTISM on January 13, 2008 in conjunction with the Chevron Houston Marathon. Aside from training over the past few months and the next two months to come, I have decided to turn my sweat and blisters into something really meaningful. I am contacting you to help me raise money for autism research. 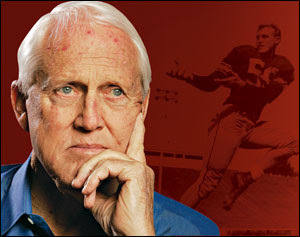 To learn more, please visit my Web page http://www.firstgiving.com/jamesgrace . My fundraising goal is $3,000.00. I am dedicating this run to my oldest son, James, who was diagnosed with a form of Autism earlier this year. I am running in the hopes to raise money for the Organization for Autism Research, a national non-profit organization that funds research and resources for individuals diagnosed with autism and their families. Your pledge of support will help individuals whose struggles often exist outside the spotlight of society. Please forward this message to friends and family who might be interested in helping. Just family, food, and football. (Parades... I can take 'em or leave 'em). I'm especially lucky that my wife does wonders with a turkey (brining was the secret this year), my in-laws specialize in sumptuous sides, and my mom adds old family favorites (Jello salad just like our Grandma used to make). I hope you all had a great day. And thanks to all of you. Who makes swim goggles for those with big noses? I had a lot trouble finding a pair of swim goggles that fit my head. That was my predicament a year ago at the beginning of Season One (Winter 2006/07). I have a prominent nose. 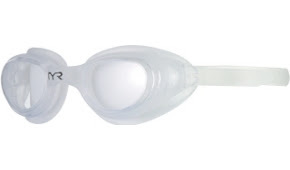 Swim goggle manufacturers seem not to take my kind into account when designing their products. Alas, I did find a solution in a particular pair which looked not at all like those performance eye goggles that the Olympic swimmers wear but looked rather much more like a kid's scuba mask appropriate for the back-yard kiddie pool pretend dives. But they stayed on my face, kept the water out, and did not attempt to crush my nose as many others seemed designed to do. I came to like these goggles (made by TYR and named Hydrovision). It all ended when they quit working this past week. Two workouts, viciously cut short due to unexpected equipment failure. The seals leaked and my eyes were repeatedly splashed by chlorinated H2O. From Coach Tarp, expert on all triathlon, I learned of a local sage of goggle fitting arts. Located at the local run shop, a masters swimmer can be found, working the odd mix of retail hours, who provides for the local endurance athletes in training. Perhaps she has the answers I seek. In my haste to return to the pool I took another course and visited the local chain sports warehouse. On a narrow aisle, I see the left overs which survived into the off-season. I read descriptions looking for a marketing term that is code for "big nose" and I think I actually found it. It's called the "Technoflex," another TYR goggle. So who makes goggles for those with big noses. TYR does. Thanks TYR! As I have a prominent nose. Though I still think I'll visit the goggle sage... I'll let you know what I find. I just learned that our Winter team has already raised $29,588. Sadly, Team Goodman has not contributed to the team total... yet! Here's my plan for hitting my goal of $3,000. The total will actually be a mix of real money and "credits" I get for volunteering. I figure the smart folks at TNT/LLS know what they're doing and the credits support the cause nearly almost as much as cold hard cash. Personal donation $200 or whatever is left over! In Season One - I relied heavily upon Friends and Family, and everyone came through in amazing fashion. My two sisters, my mom, dad, aunts, uncles, family friends, co-workers, former co-workers, college friends, Fort Worth friends, fraternity brothers, and even some people I have never met in person who are friends of TNT/LLS and supporters of the cause all made generous donations. In Season Two - I really want to diversify and work hard to get a few local businesses to pony up. I figure my increased calorie intake during triathlon training alone is benefiting the local economy. They really should give back. I'll keep you all posted here. 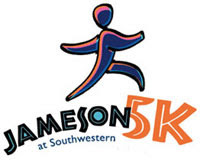 This was my second year to run the Jameson 5k at Southwestern, which occurs Saturday morning during the annual Homecoming gathering each fall. The field of runners both grew and got faster from last year to this year. Kenda Evans, sister of Jaysn, is the event organizer is doing a fantastic job in realizing that goal. This year's results? I dropped to 122 (from 80 last year) and my time got worse. It may have been that extra G&T at the alumni hospitality on Friday night (I'm pretty sure of that actually...). Attention all gamblers and charity-minded silent auction fans! The North Texas TNT group is sponsoring "Casino Night" at the La Cima Club, Las Colinas, from 7-11 PM, Friday, November 9, 2007. You can order tickets online. I also have advance tickets in my hand - so you can buy from me directly. Of course, all proceeds benefit the Leukemia and Lymphoma Society. Tickets are $40 each or $75 for two. A few more reasons to come out for Casino Night! Silent auction includes sport tickets and other super cool stuff! You or your honey has a reason to pull that favorite cocktail dress out of the closet. Guys, you can act out your James Bond fantasies and order a drink "shaken not stirred." Did you think I was going someplace else with that James Bond thing? 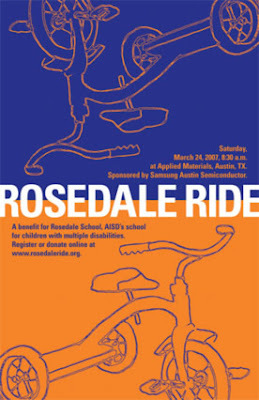 Did we mention all this fun supports the fight against blood cancers? As many of you know, breast cancer research hits really close to home for me, as I am surrounded by survivors in my family: My mother, her sister (my aunt), and my eldest sister are all survivors of this disease. In all, we consider ourselves to be blessed, but it does not mean that our future as a family - and as a community - will not reveal many more instances of this deadly disease. I recently accepted the challenge to raise funds to support the Komen Austin Race for the Cure® on November 4th in the fight against breast cancer. One in eight women will be diagnosed with breast cancer in her lifetime and the more we raise, the more Susan G. Komen for the Cure Austin Affiliate can give back to fund vital breast cancer education, screening and treatment programs in our own community and support the national search for a cure. Please join me in the fight by contributing generously to the Komen Austin Affiliate. Your tax-deductible contribution will fund innovative outreach and awareness programs for medically underserved communities in Bastrop, Caldwell, Hays, Travis and Williamson counties and national breast cancer research. It is faster and easier than ever to support this great cause - you can make a donation online by simply clicking on the link at the bottom of this message. If you would prefer, you can also send your tax-deductible contribution to the address listed below. Whatever you can give will help! I truly appreciate your support and will keep you posted on my progress. Please include your information as well as the particpant you are supporting. 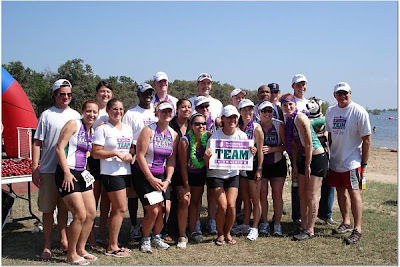 In 2008, Team In Training (TNT), the world’s largest sports endurance training program, will celebrate it’s twentieth year of saving lives, one mile at a time. The Leukemia & Lymphoma Society’s TNT provides coaching and support for people to cross the finish line at marathons, cycling and triathlon events. 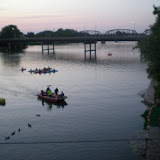 Participants raise funds as they train. TNT participants say that changing your life, making lasting friendships with teammates and impacting the lives of thousands of blood cancer patients is what makes the experience so rewarding. This participant thinks that sums it up quite nicely. Jordan Deathe is the Honored Hero for our North Texas team. He's got t-cell lymphoma. He just turned 22. He's already completed an event with TNT. He's been back in the hospital these past few months and this week he will undergo a bone marrow transplant. He found a perfect bone marrow match. Jordan and his doctors are very hopeful. Jordan shares his story via this Web site provided by Caring Bridge; he and his family keep a regularly updated journal of Jordan's progress and status. I've met Jordan just once at our Summer Team kick-off, just prior to his cancer returning in this current relapse. He's a regular guy. As his writing attests he's also quite extraordinary. Take a few minutes to meet Jordan and consider offering a few words of support. He asks that everyone sign his guest book. It's not too much to ask, don't you think? I'm just reading today's results of the IronMan Hawaii. "You have to believe you can win." said McCormack in a pre-race interview. He gave a Aussie-style straight-up assessment of this past years rivalry between himself and the Germans, in particular Faris Al Sultan. Last year's champion Normann Stadler and Al Sultan dropped out of the race with various ailments. New Zealand's Cameron Brown pulled out during the bike leg with complications from stomach virus. Of the remaining men's field, McCormack took the prize. Of the woman's field, Chrissie Wellington, a newcomer of sorts came in first. I'm sharing my thoughts about committing to a new season of training and fundraising with the North Texas Team In Training. For anyone reading this blog, I'd love to hear your thoughts, perspectives, stories or advice on making this commitment. Be forewarned: Should I commit, it won't be long before I'm back asking for your support! TNT is a big commitment for every participant. It supports a great cause. It demands the support those closest to me and it involves my asking nearly everyone I know to lend their financial support. The cause is always there, in the background, during every Saturday morning training and during the exciting moments in which we cheer fellow teammates across the finish line. TNT walks the line of educating without preaching and of exposing the issues without forcing the issue. I want to be able to do the same. I want to learn more about how this disease comes about and how medical science, patients, non-profits and the rest of us each play our various roles to combat and win battles against these cancers. I hope to provide some level of amplification for the message coming from patients, medical science and the non-profit groups like LLS in support these groups. Is there something compelling for all of us about dozens of regular folks embarking on endurance sports training in support of cancer research and patient care? I think there is. I'm trying to envision effective ways uncover and report on the stories and the underlying personal narratives that push forward these long seasons and huge efforts - and not my own primarily - so that everyone involved gets a bit more out of this wonderfully crazy concept of "saving lives one mile at a time." 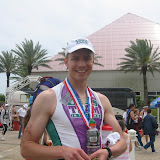 I want to train and complete a Half IronMan distance race. 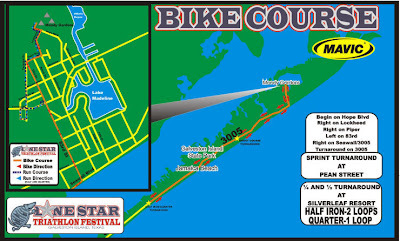 I would go back to the LoneStar Triathlon in Galveston. I have a borderline obsessive interest in new media (Web logs or blogs, podcasting, and other social media) and I want to use fundraising and training with TNT as an excuse to experiment in and produce these new media, not just consume them as I've been doing. December 2007 will mark our third year in Fort Worth. We're still relative newbies in this town and in North Texas and TNT gives us a great way to participate with and contribute to the local community. While I don't have a personal story of a loved one or immediate family member with a blood cancer, LLS leads an important front against caner in general; and the odds suggest that either I or someone close to me will battle cancer in my lifetime and I want to get a head start in that fight! 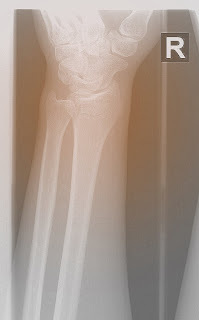 I fractured my right wrist this past Sunday while trying very hard to work on my trail riding skills on my mountain bike. Mountain biking is not on our triathlon training schedule - but it offers one heck of a great cardio work-out. Mike W. (fall participant who is crazy-close to hitting his fundraising goal) and I headed out to Sansom Park in Fort Worth, where the local mountain biking association is doing an excellent job of developing a superb trail. It offers plenty of challenge for a novice level rider like me, and technical runs, drops, and climbs for Mike and his ilk. On our second loop of the morning, I tumbled off the trail and landed hard on my wrist. It's minor and will heal well- you might barely notice the hairline on the big bone. 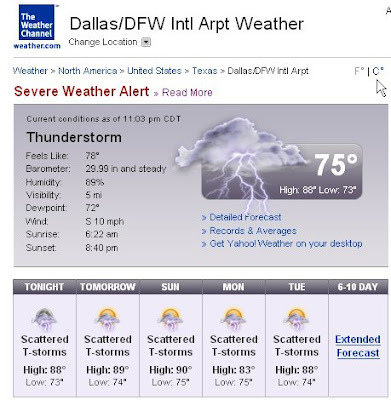 I'll be off the bike and out of the pool for 4-6 weeks. 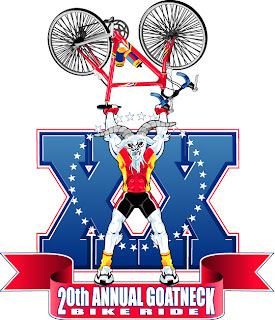 July 28, 2007 saw over 2,600 cyclists descend upon Cleburne, TX for the 20th Goatneck ride, supporting the local Jaycees Club. Our TNT Fall Triathlon Team used this as a training ride in preparation for the Dave Scott and Pacific Grove events, both of which are quickly approaching in September. The team did great! I did the 41-mile course and had a decent ride. Several of our Half Iron-Man team rode the full 100k course. Tiffany M., a true talent to watch in amateur triathlon, smoked all of our team on her new Cervélo P3 Carbon. When asked about the importance of her new ride, she did confirm "It's all about the bike!" Well done, Tiffany! Our team is in the final days of training and fundraising. All donations support The Leukemia and Lymphoma Society. Emily, a Fall Triathlon team participant, had a very nasty spill on her bike a couple of weeks back. The short version which I heard, (since I was not there on the day), was that upon coming down a steep hill in downtown Fort Worth (which our team regularly uses to add a bit of hill work when riding on the Trinity Trail), Emily realized too late that her brakes were not properly clamped. She rode at full speed straight into a street curb at the bottom of the hill. Her bike stopped and she flew 15 feet or more. Thankfully, she got up, and although shaken, was not hurt seriously in any way. Her bike took the brunt of the impact and it endured: a broken front fork, a broken seat post, a broke handlebar, and bent rims. I should also mention that Emily is a college student. Bike repairs are not a budgeted item as you'd expect. I am still in shock today after picking up my bike and learning that I owed only 1 cent!! ARE YOU KIDDING? It was completely unexpected and I don't know if words could really express my gratitude to everyone. That is by far the nicest and most thoughtful thing that anybody has ever done for me. I feel really lucky to be on a team with such AMAZING and SNEAKY people. I wish I could say I went to group training and events all the time to train, but for me it's always been just an excuse to see and hang out with all of you. It's rare to be truly grateful for things, but I am so very grateful for my TNT TEAM!! So Thank you Thank you from the bottom of my heart. I love you guys!!!! Expect HUGE hugs when I see you!! Best part, I get to ride at GOAT NECK this weekend!!! WHOOHOO! Local media coverage: "From couch to the running track"
The Collinsville Herald ran an article on the father of one of our Fall Triathlon Team participants; the father is training for the Chicago marathon. The article captures the spirit of TNT quite nicely . Very little drama on the run compared to the swim and bike. Mid-way through, I contemplated a bathroom stop, which on reflection, would have cost me my goal of completing within three hours, so I'm glad kept going. 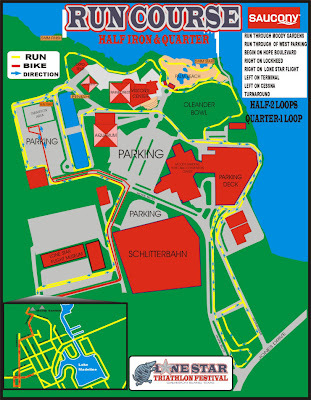 The course wound around many times through Moody Gardens. Volunteers, many of whom dressed-up, one as a clown, some in Roman-style togas, passed out Gatorade and water. A man played guitar and sang Jimmy Buffet songs as entertainment for the runners. Cheerleading squads added a welcome dose of pep and spirit. On the bike, I thought about Bog Seger. For about 14 miles of the 28 mile "Mavic Loop," we rode against the wind. Slowly. Stubbornly. Dudes and chics with better bike legs and much better bikes (like the really cool aerodynamic triathlon bikes) did whiz by me thanks to their conditioning and reduced wind drag. The second half of the ride, after the turn around, well, was pretty awesome. We flew! As hard as the first half was riding into the wind, riding back was fun. It was at this point in the race, that I firmly determined that the Quarter Iron Man was the right race for me. Those suckers doing the Half Iron Man had to do that loop one more time, with that wind, which I swear was only getting worse. I, on other hand, was on to the run! "Open Water swimming is a different beast than swimming laps in the pool." Such was the very first mental note I made during the big race. After making the first left, at the tetrahedral marker (yes, that term was announced many times over the loud-speaker) I stubbornly tried to keep my head down and get into my swim rhythm, certain I was swimming straight and in the right direction. I looked up to find myself out of the pack. Realigning my direction, I put my head down and repeated this practice. Could this be a metaphor for life? Looking up, I found myself still apart from the group. Assessing my position and my condition, I realized that several minutes into this effort, I was neither tired nor panicked. The water felt good. I did get into a rhythm, albeit one that took me off course somewhat, but hey, it still felt good. So, finally cluing into what mid-swim adjustments I needed to make, I began to sight at every third or fourth stroke. The race start was done in waves. My Navy Blue swim cap marked me among the first wave, followed by Green and then Light Blue. So when swimmers from two waves back were passing me, I realized how much time I'd lost in this zig-zag line of thousand tacks that was the path of my swim. Oh well. Plenty of opportunity on the bike and the run to make up some time. I only get nervous (really nervous) when I'm ill prepared. I was prepared for this race. A more complete update with pictures and such will come, but here's the quick update. We hit our fundraising goal in the final week! Team Goodman supporters hit the $3,000 mark plus a bit! 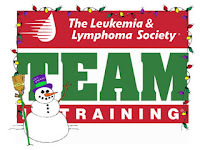 The North Texas team (both Dallas and Fort Worth) raised over $140,000 for The Leukemia and Lymphoma Society. I finished the Quarter Iron Man race and achieved my personal goal of completing it in under three hours. (You can check my times, type in Bib # 560 into the Quarterthon results page). Our team did great! We all had a blast, are proud of our effort, but also humbled at the opportunity to serve a great cause and for receiving so much support from friends, family, and colleagues. Thank you all again for your support!! In the January 29 issue of Time, page 18, I came across a death notice of Michael Brecker, 57, "11-time Grammy winner widely regarded as the most influential jazz saxophonist since John Coltrane; of leukemia; in New York City." To be honest, I had never heard of Mr. Brecker until I read this short paragraph about his life and recent death. So a I did some searching and found an article that tells more of the story. Michael Brecker was diagnosed with MDS (myelodysplastic syndrome), an early stage of leukemia in which one's bone marrow cannot produce enough healthy blood cells, sometime after that. His wife Susan had sent out a plea via mass email, "...it's critical that he has a bone marrow or blood stem cell transplant (which has nothing to do with embryonic stem cells). The initial search for a donor, including Michael's siblings and children, has not resulted in a suitable match. We now hope to have as many people tested as possible that share a similar genetic background as my husband." The appeal for help has also been posted atop the official Michael Brecker website since soon after the 57-year-old saxophonist first announced that he had been diagnosed with MDS. Despite worldwide publicity, a donor match was never found. An experimental cell transplant procedure was performed on Michael Brecker in 2005 but was not as successful as the surgeons and medical experts had hoped. His website offer details on a memorial service to be held on February 20 in New York City. His work as a sideman was featured prominently on TV and movie soundtracks, including "The Wiz," "Warriors," "Footloose," "9 ½ days," "Midnight in the Garden of Good and Evil" and The Bill Cosby Show. Michael Becker also performed as part of the dynamic house band for NBC's "Saturday Night Live" in the 1980s, and recorded with popular artists as diverse a Dire Straits, Herbie Hancock, Todd Rundgren, Manhattan Transfer and funk rock icons, Parliament. Fundraising Update: Six Weeks to Go! I'm also working on corporate and local business donors. If anyone has ideas are ways to help spread the word, please don't be shy. Here's the secure online donation site just in case you lost it. For those of you we've expressed your intent verbally to support my campaign for LLS, now is the time! Thank you all again. I'm off to SPIN class. Training update to come too... lots of good stuff to report. 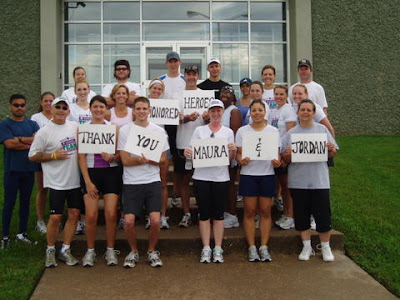 TNT attracts a group of seemingly ordinary folks who volunteer their time to train the endurance/fundraising teams, often multiple teams at one time such our winter team and the new spring team which kicked-off their training in '07. I suppose like most humans, their extraordinary qualities manifest once you get to know them better. 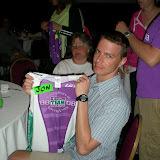 Bret from Team Starr provides an appropriate tribute to Coach Tom, the leader of our pack of wild triathletes-in-training, and a super human being. Read Bret's post. I bet you'll laugh out loud. For my friends, family and generous donors who don't wish to subscribe to the my blog "feed," and for those who don't even want to know what RSS/feeds/syndication are all about, you can now subscribe to have the Team Goodman blog updates sent to your email automatically. Just complete this short form via this link or in the right hand margin of this page. As always, thanks for your support and interest. Everyone was a winner today! A group from the winter Fort Worth TNT triathlon team traveled to Flower Mound, north of Dallas, on a very cold January morning to participate in the first of a series of "RunBiTri" or reverse triathlon events. And we all won meddles! As you can see in the picture at right, we are all thrilled about our recognition! I ran the "RunBi" or "Du" - which consists of three legs: 5k run, 13m bike, 2k run. The rest of our team competed in the "RunBiTri" or "reverse triathlon" which consists of a 5k run, 13m bike, and 350M swim. Results are posted (for those who care). In summary: another great and humbling event! Medals are fun, even when little more the participation prizes! Full fingered gloves are on my to-buy list to combat the cold during sub-zero temperature bike rides. I'm now training for the Lonestar Triathlon - Quarter Ironman. After giving careful consideration to my current fundraising trajectory and comparing that to the rapidly evaporating weeks until race day (April 1), I decided to shift my race event, and thereby my overall fundraising goal from $5,800 to $2,600 (the amount of money I need to raise in order for the Society to cover my race expenses. Team In Training must send at least 75% of all donations directly to Society, the remainder can cover programs expenses, including the costs of sending yours truly to my race). 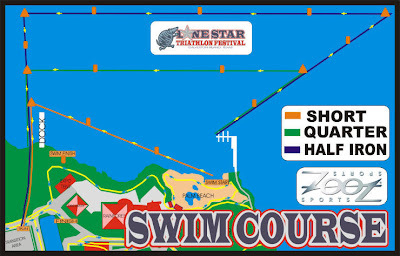 The Lonestar Quarter Ironman is also slightly less of swim than an Olympic distance triathlon for which I've been training thus far (I'm not sad about this fact). All that said, I've rededicated myself to overachieving my fundraising commitment, with your continued help, some special activities and volunteering, and my own contributions. Thank you to all my great friends and family for your support - you can see all of the generous supporters on my fundraising page. I was just reminded by a comment from my big sister and again from my favorite podcaster/blogger, Joseph Jaffe, that my intent with this blog, in addition to providing a chronicle of this journey of raising money for LLS and training for my first triathlon with TNT, was to conduct an experiment in communication with the people in my "community," those who I can call family, friends, colleagues, and other peers and acquaintances. And my passionate desire is make this a conversation. Not a one way communication. And I just realized that I've not explicitly invited comments! Please comment. Join the conversation. Just hit the "comment" link below. Let me know you're out there... Or call me, write me... share your opinions, views, ideas, & contributions (and not just the financial kind). In the time it takes me to swim approximately 15M in the pool, you can watch this short video. Just try not to smile, I dare you! In the 1960's the five-year survival rate for Myeloma was 12% - Today it is 33%! In the 1960's the five-year survival rate for Leukemia was 14% - Today it is 49%! I wanted to share this outlook with you, who are the real support behind this effort! I hope you, my reader, had a wonderful holiday season! Despite a few blips and missed training days to due holiday traveling, the endurance-athlete-in-training member of Team Goodman has made progress. Swim - "Swimming is hard; my coaches look at me with a face which betrays their curiosity. I look like a swimmer when out of the water; I've got something akin to a swimmer's build. But in the water, well, my form is lacking. My immediate goal is to graduate from the slow lane of the pool. My endurance has picked up quite a bit over the past three months." Bike - "I love to cycle; I'm still training with my Kona Fire Mountain, which is as you'd guess, a mountain bike. I can do the Olympic distance no problem. Between now and April, I'm going to work on my road skills and improve my time. Oh yeah, and pick up a proper road bike..."
Run - "Since training started in September, I've been able to build a good base of endurance to build upon; I've run a 5k and 10k event. Like my cycling training, it's now about improving my time and working on good running and race technique."